I had the chance to watch 4 Days last week through a private screening arranged by the film's Director Adolf Alix Jr. and the cast of this movie. Yes, it's being shown right now on theaters through a commercial run at Greenbelt 1 and Trinoma this week, perhaps even an extended run if it actually does good in the box office. The trailer alone had people raving about it, enough to get it viral and gain countless views. For starters, I'd laud it for it's truthful depiction of an LGBT relationship in a setting that is very relateable to this generation. 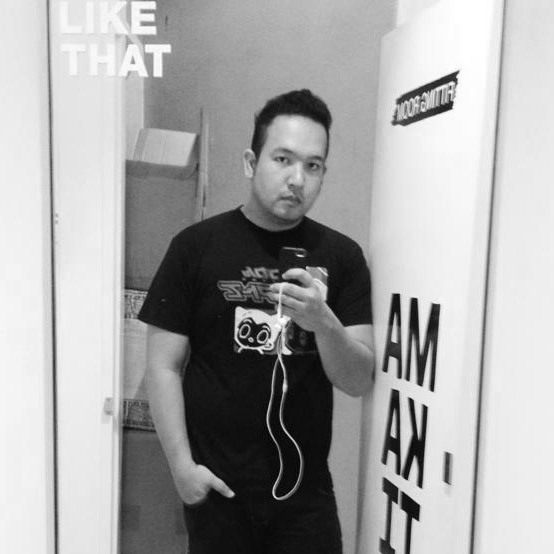 The premise started innocent, some supposed young straight men going through colorful strides in their college life. Struggling in keeping relationships, or playing along to score, misogynistic at times, then completely become a one sided battle when one gets distraught by the rules of falling in love. 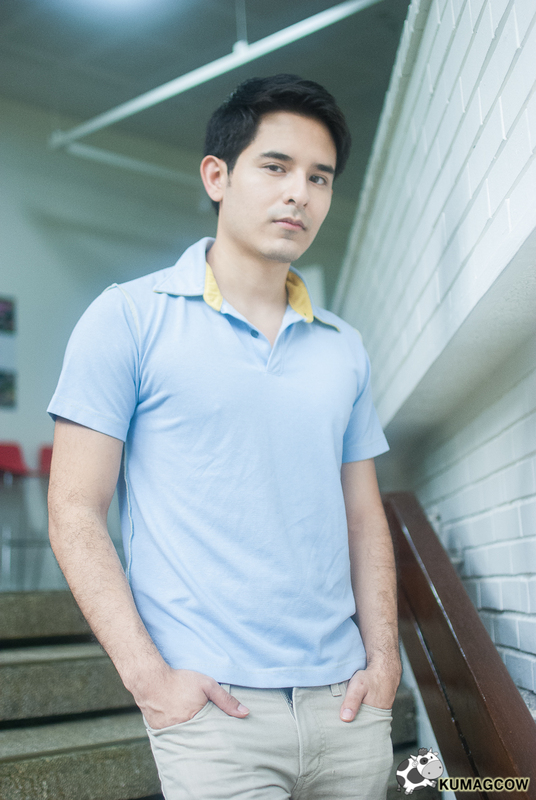 Then Derek gets depression (Seb Castro's character), no, melancholy in fact. 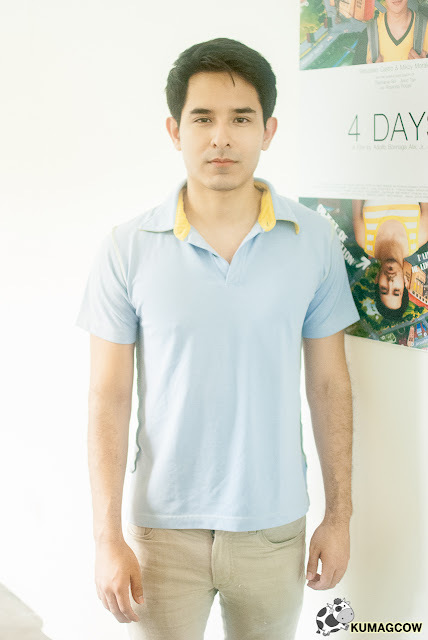 This spurred Mark's eagerness to care for a friend (played by Mikoy Morales), to see his imperfections and struggles as opportunities to connect, reverse with a little comedy until he refuses to let him off that easy. Then they found themselves looking at each other, eye to eye, with an uncanny thirst for uncontrolled lust, passion... even love. This is all happening while they're supposed to be straight one day, then question themselves the next. Yet at the back of their minds, it was unmistakeable... they liked it. In dire situations, I had a hard time believing how they were cool about it the day after but the bond they may have made years before that might have gotten their feelings for each other in a very complacent position. Now they're closeted, never felt to even ask this position to be wrong, or right. I wouldn't want to spoil things for you, but in a nutshell you should put an end to this feeling of wanting to watch this film. This definitely deserves your attention, and you'll never look at showers or ketchup the same way again. Seb Castro and Mikoy Morales took two interesting characters to heart and made it believable, intense at times... but fairly romantic. 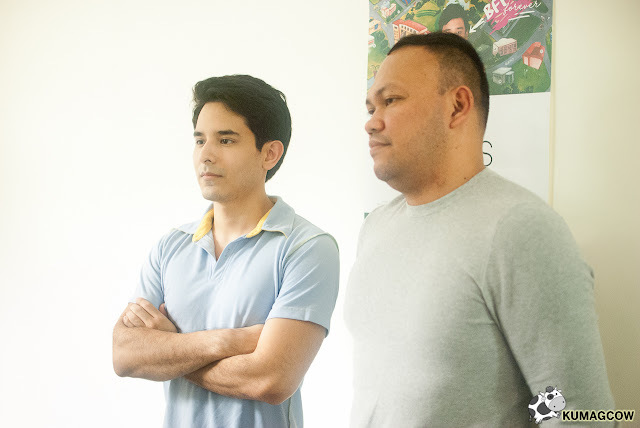 We had a short chat with Seb Castro during the intimate press preview of their film. Director Adolf Alix was there too during that afternoon and showed us his short film called KINABUKASAN which stars Alden Richards and Nora Aunor, a bonus if you watch the movie on theaters. I fervently hope you get to watch it this week as they go on a commercial run in Greenbelt 1 and Trinoma Cinemas, they hopefully would get extend and have it shown for an even wider audience. Something I'd love to see. Wish you all the luck buddy!